High pressure washer portable on a trailer with water tank, reels, extra hose, operating up to 4000 P.S.I. Plus 200 degree hot water. Rental costs are; $225.00 per day—-$900.00 per week. Think about how much CLEAN you can get done in a week! We also have the accessories for faster cleaning like 24 inch hard surface cleaner works like a lawnmower on concrete. High impact 6000 psi rated rotating laser nozzle makes tooth picks out of 2 X 4’s. Soda blasting. Other cleaning equipment for rent includes; extractors, sewer jetters @ more . 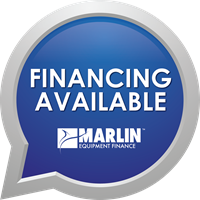 Need to purchase a hot pressure washer, cold pressure washer, gas, diesel or electric… and you need financing? This is the sample on the payments you can make. Everybody knows about leasing, BUT ! Do you really know? Amortization allows you to save the lump sum cost and split it into affordable increments plus after lease term you can purchase for one dollar. Lease companies have money without a lot of customers now. Use this leverage to obtain a 12 month lease SAME AS CASH. Also, the higher your Isaac score the less interest you pay on longer term lease buy outs. Keep your money in your pocket so when Honey needs Money you don’t pull a funny.